This is a story of a Chinese family: of an American woman who became the mother; of a father who was not always a father; of a favorite son who lost his identity; of a daughter not recognized as daughter; and of a concubine. It is also the story of the author’s own early years in Peking and a lifestyle of rare privilege brought to an abrupt end by World War II. 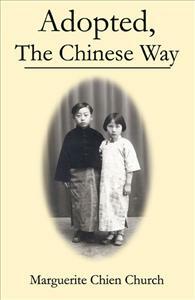 Adopted at infancy by her own uncle and aunt, the author retains ties to her birth family. As the members of both families, adoptive and biological, move in and out of her life, each adds new and intriguing pages to her story. This is a book that should be read by everyone who is interested in a culture beyond his own. Once started, I could not put it down; read it in two large gulps. The author's descriptions of Peking's old courtyard homes and the lifestyles lived within those homes opened my eyes to a whole new world, or rather, to an old world that will surely never be seen again. The traditional Chinese system of adoption, in which the author is simultaneously a part of both her adoptive and biological families, makes for fascinating relationships that gradually unfold as she tells her story. In addition, the story of her adoptive mother alone-an American woman holding her Chinese family together through the traumatic Japanese occupation during World War II--would make the book well worth reading. I read this book because the author is a friend of my mother-in-law's, and now I wish she were a friend of mine! This treasure gives a glimpse of a way of life now gone forever, of a unique upbringing combining two radically different cultures. Amy Tan wrote about her mother's experiences; Mrs. Church could very well have been her mother. Her descriptions of the food and their methods of preparation alone are worth the price of the book. I felt like I was sitting across the table from the author as she recounted tales of growing up in pre-WWII China, and I wanted the stories to continue. Heartbreaking and heartwarming at the same time, this book is a testament to human adaptability. I was sorry to see the book end. I don't have a lot of time to devote to reading, and this one deserves a place on my keeper list. Search it out; you won't be disappointed. I loved this book. I think this book should be marketed world-wide. The writing was a grand mixture of delicate, sensuous descriptions of sights, sounds, tastes, smells, feelings, thoughts of a young girl raised in upper class China in the 1930s. Ms. Church shows the reader a world most Americans will never experience; a world of such grace, traditional structure, and mixed-ethnic struggles that by the end, I felt almost a personal knowledge and a profound sadness that such beauty and attention to detail has been for the most part lost. Also very intriguing was the life of Ms. Church's mother who was an American brought into this very foreign environment and how successful she was at taking it all on. The family tree presented was very helpful in deciphering the complexities involved in the custom of members of the family adopting other members' children and who was actually related to whom, biologically and adopted. Ms. Church managed to give us an idea of an exotic life long gone and not often viewed using her personal feelings and memories as guidlines. This is NOT a dry descriptive by any means. I would read it again several times over.